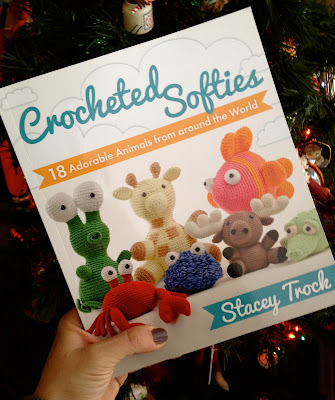 CRAFTYisCOOL: Book Review and Giveaway! Crocheted Softies! Book Review and Giveaway! Crocheted Softies! ** Thanks for all the entries! 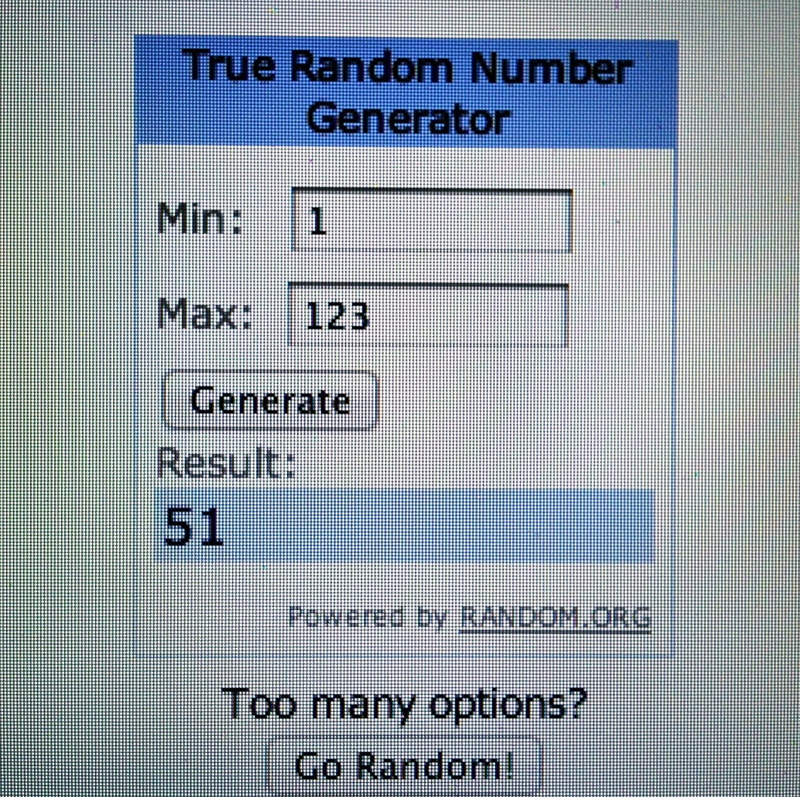 Out of 123 comments, the winner was #51, CuCuCreates, who wants to crochet a crocodile! I bet it will be awesome! Thanks for playing! I'm sure I'm like most people that crochet. When I started, it was all about gifts. I gave away pretty much everything I made, either to my kids or other people's kids. I loved finding cute patterns for stuffed toys that made great gifts. Gifts for kids, particularly stuffed animals, are so fun to make and usually take a lot less yarn and time than bigger projects (like afghans or sweaters!). In Stacey Trock's new book, Crocheted Softies, you will find patterns for 18 adorable animals from around the world! These aren't just the typical teddy bears and bunnies, but awesome patterns with texture and detail that kids will love on for years. She starts off the book with a thorough introduction to crochet. You'll learn all the basics, plus special stitches Stacey uses for adding character to her crochet designs. 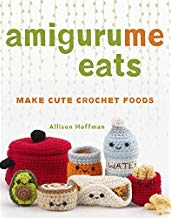 I especially love the details she gave regarding making the toys child-safe (like crocheted eyes), and her diagrams for assembly are some of the best I've seen (and I've read LOTS of crochet books!). She starts off with a basic animal shape, then elaborates with different animal patterns (her elephant is especially adorable) and goes all the way around the globe (continent by continent!) and then into outer space! Check out her hilarious alien! What little boy wouldn't think that was totally cool? Another thing about the book that is really cool is just the way Stacey crochets. See how her creations have little ridges all around? That's because she crochets into the back loop of all of her stitches. Her book says that it helps hide stuffing. By doing it this way she can crochet with a larger hook, and I'm guessing it makes her toys larger in the end too. Interesting! I like the texture it gives to her toys! My absolute favorite pattern in the book is Salty the Crocodile! It reminds me so much of a vintage handmade crocodile toy a friend had. All those nubby crocheted bobbles in rows on his back and those cartoonish eyes just bring this little guy to life. Love him! Stacey has done a great job using natural fibers throughout this book. You'll be inspired to try out new textures and materials when you're crocheting, I'll bet. So now that you are all clamoring to get this book, who wants to win an autographed copy? I'm going to give away one copy of the book, which Stacey has signed, to one lucky winner. This would make a fantastic gift to anyone, since the projects are a great introduction to crocheting! EDIT: Here's a list of animals inside! I would love to make the Ork alien!!! Its so super cute!! I love the giraffe, so cute! 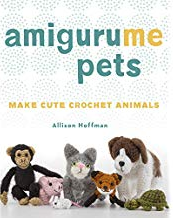 I am so interested in trying back loop only for animals/amigurumi now. Never thought about it, but it makes perfect sense. Thanks for the review and giveaway! My favorite is the Alien. I would love to crochet the crocodile but around here it would have to be an alligator for my kids school they are the Austin Alligators! I love Stacey's work and would love to win this! Ohh so cute! I'd have to make the alien from my friends son! Like many others I think the alien is SO adorable! 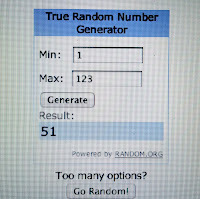 If I don't win it, I'll put the book on my wishlist. Thanks for the giveaway and the complete review!! I hope I can make some of these softies. I'd love to win this and make the giraffe, sooo cute!! Thanks! My little boy (he is 3) loves crabs, so I know which pattern I'd go for first! Ooooh - I would love to win & learn how to make the walrus! OH!! I would love to make the panda and then the walrus!! I would love to make the giraffe for my nephew. He'd love it! I have fallen in love with that little red crabby guy. My son would love to get a hold of him I think. Thanks and good luck to all who enter. Hands down.... Zork the Alien. Zork was an awsome game! That croc has also won my heart. Those little ridges make the difference between a green lizard and a fierce swamp creature! The giraffe looks so cuddly! I would love to make the crab or the jellyfish. They are so creative and I think my boys would have a lot of fun with them! I'm new to crochet, but I think the orangutan would be loads of fun. Not just the typical cute monkey you see so often. My son is loving all the little softies I am making for him and this book would greatly improve his collection! I would love to try the croc! 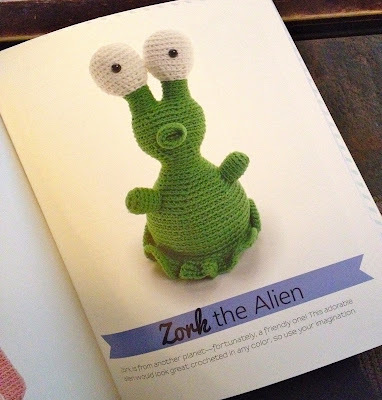 I'd love to crochet the alpaca, then the alien, then the rest of the animals in the book. They are lovely! Would love to crochet the giraffe. So cute!! Being a Canadian, I think I would like to make a Moose! Just one??? Are you sure??? Seriously my boys would want me to make one of everything! But if I have to pick just one but youngest is right into elephants atm. Hard to decide since they are all cute, but I think I love the crab the most. Just one!?1!? Wow! I think it would be the elephant (or giraffe). I love elephants! My step-daughter is a fan of Giraffes, so I would crochet one for her. i also love the alien guy, too cute! I would like to make the elephant. I have been looking for a unique ami crab! I'm a cancer and want to make one to sit on my desk. I'd love to either do the alpaca or the giraffe but they are all so cute it's hard to choose. I would definately want to make the Alpaca!!!! I'd love to make the crocodile. I would love to make the owl! I want to snuggle up with a jellyfish. I want to make a penguin! The Crab! Or Penguin! I'd probably end up making them all for my daughter and/or nephew! From the book? The orangutang, so I could make my own DW Librarian! Animals all together? Maybe a armadillo that rolls up to a ball! That would be cool! Thank you again for the opportunity to win this wonderful book. What an awesome book... It has so much cuteness!!! I would love to make that cute girrafe! So cute! I would love to make the fish because not only am I a Pieces, but my 5 month old son just loves watching his gold fish and always reaches out to the tank to try and touch them - so it would be lovely to give him a fish he can hold, and of course, chomp on! i would love to crochet a pug! i just think it would look so adorable with the cute lil "smashed" in face. That moose looks adorable. I would love to make one of those. I LOVE LOVE LOOOOOVE elephants!!! I would make a family of them!!!! Thanks for encouraging creativity in all of us! I'd love this book because there's a PANDA!! and i've promised my 2 year old niece i'd make her a giraffe a pink one at that. I would totally crochet the microbe/macrobe and send them to my friend who teaches Biology in Virginia. I crocheted her a beer coozie with a skull on it once but this would be *so* much better! Yay! So cute and I love the texture of the back loop crochet. I can't decide if the moose, walrus or alien would be my first project. I would love to make a giraffe. A funny striped adorable giraffe! Id love to crochet the crab for my 3 yr old daughter....whos is always a crab! My mom has a thing for Moose so I would make one of those. Thanks for the review of the book. What a cute crab! Definitely the crab. Panda!! I would love to make a panda! Ohh!!! I love the giraffe! And the alpaca!! I want so bad!!!! I want to crochet an elephant but I need help, jeje. I would love to crochet a giraffe! 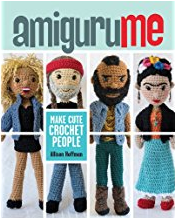 And, I'm teaching a group of middle school kids how to crochet, and I know that some of them would love this book just as much as I probably will!! Since I'm a last minute entry, I probably won't win (I had grades to figure out for progress reports), but I appreciate the chance, and the preview of the book! I would love to crochet the walrus. Goo goo g' joob. Omg a giraffe would be adorable! Love, love, love to crochet the fish...I have a thing for goldfish and that one is beautiful! Favorite is the crocodile! Kind of like the 'gators of Louisiana, my favorite state. brendasinder@yahoo.com I would love to make aliens for my kids and fun alien spotting friends. They all would just love them. Hola! Me llamo Andrea y soy de Argentina. Me encantó el libro y aquí es muy difícil conseguirlo... Serías tan amable de mandarme el patrón del pez? Hello! My name is Andrea and I'm from Argentina. I loved the book and this is very difficult to do ... Would you please send me the pattern of fish? Free Pattern: Harry Potter Sorting Hat! The War Doctor is Here! 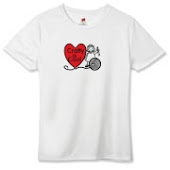 Buy Crafty is Cool T's and More! All images and content unless otherwise noted Copyright CraftyisCool.com. Simple theme. Powered by Blogger.